In a rare campaign, Nigeria’s ex- President Goodluck Jonathan has described Alhaji Sule Lamido, former Jigawa governor, “as somebody that is highly courageous, zealous, committed and experienced’’ and capable of uniting Nigeria. Jonathan said the presidential aspirant of Peoples Democratic Party (PDP) was an experienced leader, capable of uniting the country if given the mandate next year. Sule Lamido National Campaign Council visited Jonathan at his Yenagoa residence in Bayelsa State, on Saturday. Jonathan said that the next president of Nigeria would come from PDP in 2019. “I am always happy to listen to you, because you know the history of Nigeria’s politics. When I was Vice President and later President, I went round Jigawa State to commission a lot of developmental projects. Jigawa witnessed a lot of wonders under your administration. “I know you are somebody who believes in the unity and sanctity of one Nigeria and your political history, philosophy and ideology are all about leftist and humanism not capitalist, I wish you well in all your consultations and campaign, ” he said. Lamido thanked Jonathan for the reception accorded him and his team. He said: “I am here to formally inform you that I am running for the presidency in 2019 on the platform of our great party, the PDP. “I know your commitment, because you have a large heart, you have been demonised, blackmailed and called names, but you remain silent, resolute and forging ahead in all your activities. 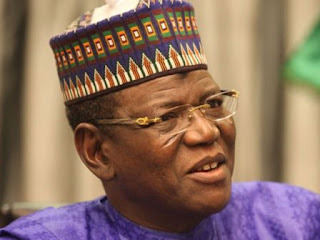 “But as a giant of Africa and leader of the black race, we must rescue Nigeria, this is why I am offering my myself for that role, ” Lamido said.